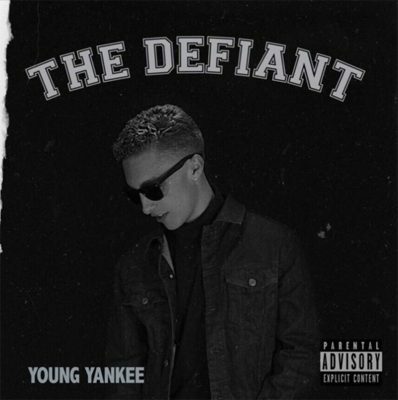 Local rapper Young Yankee has hit the Salt Lake City hip-hop scene with the release of his first album, THE DEFIANT. Yankee is no stranger to the rap scene, having released singles regularly over the last four years. Over time, it’s obvious that Yankee has worked to perfect his sound. The quality of his music, the content of his lyrics and the overall aesthetic has changed, reaching new heights with the release of THE DEFIANT. The album starts with “No Need,” a high-energy, SoundCloud-rap-style track, with energetic, quick-tempo drums moving the song along, paired with spacy, well-constructed synth sounds and samples. “Ain’t no need to lie now / Tell your b**** to pipe down,” Yankee raps. “Even if I let you on my wave, you would wipe out / Do not bring your wife around me / I got a couple tricks off my sleeve.” “No Need” starts the album strong. Yankee’s confidence can be heard, and it is obvious that he has polished his style. The harsh, ego-driven vocals work well with the energetic production. As the album goes on, there are moments that keep the energy driving and moments that seem a bit out of place. “Be Patient,” a more auto-tune-heavy track with melodious vocals, is the first time Yankee seems to fall off of the momentum he was building. The track, as a whole, is slower, with a more down-tempo beat that guides the song along. Yankee also raps at a slower pace, and the use of the auto-tune seems to hinder the track, making each syllable sound a bit repetitious. In the chorus of “Be Patient,” Yankee talks about the time and dedication he puts into his music, repeating the phrase, “Mama said be patient,” multiple times with the same inflection and cadence. Despite some momentum issues, The Defiant is a great first album for Yankee. The emcee has an obvious talent and dedication to his music, and has put in the work, creating an intensely professional-sounding album, a rarity for local Salt Lake City rap artists. If Yankee is able to keep a through-line or hone in on a specific style that works, he will definitely go places and cement himself as a legend in the local scene.